The Czech Republic, now technically referred to as Czechia, has a reputation as a popular tourist destination in central Europe. However, it has much more than that to offer. Czechia has the lowest unemployment rate in the EU due to its booming economy. This has drawn thousands of foreign workers due to the shortage of domestic manpower to fill both it’s blue collar and white collar job positions. The expansion of the country’s economy coupled with its exceptionally low costs of operation has also drawn the attention of dozens of multinational manufacturing and software companies. Naturally, this has attracted thousands of Canadian individuals and businesses to follow suit. However, whether you are an individual looking to work in the Czech Republic or a corporation looking to expand your operations in Czechia, you will almost certainly have some Canadian documents you need to use in Czechia. Canadian documents will not be accepted in their original state in the Czech Republic. This is simply because there is no way for them to verify whether the documents you are presenting are legitimate. This is why there is a process known as the apostille which is widely used by many countries around the world to very documents issued in foreign countries. Since Canada has not signed the Hague Apostille convention, it uses the original two step process which was in place prior to the apostille. This process is called authentication and legalization and it is equal to an apostille. Authentication takes place at Global Affairs Canada. Before they can authenticate your documents, they have a series of requirements that need to be met. The primary requirement is that they must contain the signature of a certified authority, such as a Canadian lawyer or notary public. In addition, it can take Global Affairs Canada over 15 business days to authenticate any documents you send to them by mail. The second step of legalization takes place at the Czech Republic embassy here in Ottawa. They also have a series of requirements that need to be met prior to legalization, the primary one being that the document must be stamped by Global Affairs Canada. 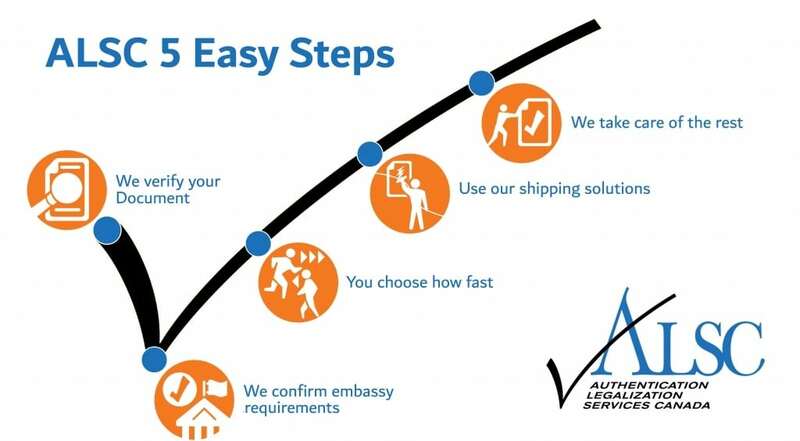 The Embassy of the Czech Republic has a faster processing time than Global Affairs Canada, but additional requirements and changing fees make delays common at this step of the process. Once your Canadian document has been authenticated and legalized it is ready for use in the Czech Republic. As you might be able to tell, authentication and legalization can be incredibly stressful and confusing. The frequency of delays also makes it extremely difficult to meet last minute deadlines. This is why there is a high demand for our services when it comes to using Canadian documents overseas. With over two decades of experience working with the Czech Embassy as well as almost a hundred embassies and consulates across Canada, we have been the preferred choice for authentication and legalization services since we became the first to provide the service. Since then we have helped tens of thousands of Canadians and Canadian businesses process their Canadian corporate documents, police checks, educational documents, vital statistics documents, and private documents for use in over 75 countries. Our services allow you to save up to 15 business days of processing time as we can have your documents authenticated as quickly as the same day they arrive at our office on our priority same day authentication service. We also offer a standard 3 business day authentication service and economy 10 day authentication service which couple speed with affordability. 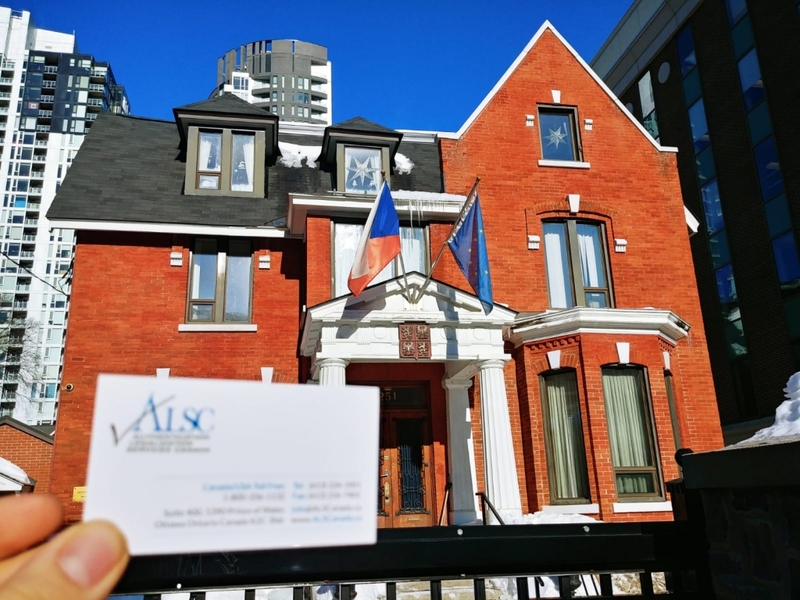 Although we cannot influence the processing time at the embassy, the professional relationships we have developed with staff at the Czech embassy and dozens of other embassies in Canada has made us a preferred client. As recognized agents we are able to resolve issues quickly as they arise and are constantly up to date with changing requirements and fees. This means minimal delays and the highest level of service possible in our industry. Finally, all of our customers are covered by our service guarantee which ensures that your documents have been properly authenticated and legalized for use in the country of your choice. If you have Canadian documents that need to be used in the Czech Republic and are rushing to meet a deadline, contact us and we will provide you with the fastest service available. Continue reading for more details on documents which are commonly used in the Czech Republic. Canadian police checks are possibly the most requested document when it comes to personal affairs overseas. They are required for anything from job applications to immigration. There are in fact many different types of police checks you can get in Canada. They can be locally issued, provincially issued, or issued by the RCMP from their headquarters here in Ottawa. However, the embassy of the Czech Republic will only accept police checks issued by the RCMP headquarters here in Ottawa. Any other type of police check will not be accepted for legalization at the Czech embassy, even if it has been notarized by a Canadian Notary public or Lawyer and authenticated by Global Affairs Canada. The RCMP check will also have to be an original; a notarized copy cannot be processed for legalization at the Czech Embassy. Since the RCMP police check is based on fingerprints, you will need to have your fingerprints taken before you can get the RCMP police check. This can be difficult to do if you are currently overseas. If you are currently not in Canada and require an RCMP police check, please contact the National Pardon Center by clicking here. They will be able to assist you with getting your fingerprints from outside of the country. If you are currently in Canada and require an RCMP police check, you can get your RCMP check by following the steps listed here. You can also save processing time by having your police check ordered directly to our head office which is also in Ottawa. Many of our clients choose to do this, especially if they’re currently overseas. We strongly recommend you do the same! If you have a Canadian Power of Attorney that needs to be used in the Czech Republic, it will first have to be notarized by a Canadian Notary Public or Lawyer before it can be authenticated at Global Affairs Canada. If you already have your Power of Attorney notarized, make sure to double check that the notary has sealed and signed the document properly to ensure it can be authenticated by Global Affairs Canada. If you do not yet have your Power of Attorney drafted, most Lawyers can provide you with a template you can fill out based on your needs. However, even if you have already properly drafted and notarized your Canadian Power of Attorney for use in Czechia, it is crucial to check with the requesting party whether all the details in the Power of Attorney meet their requirements. We occasionally have clients who rush through the process without consulting their affiliates in the Czech Republic, only to have their documents rejected there. Constant communication with the requesting party overseas is key to a successful authentication and legalization process. Finally, note that if you have a Canadian Power of Attorney that is in a language other than English or French, there are additional requirements for authentication and legalization which we can assist you with. Getting your Canadian documents ready for use in a foreign country can be incredibly time consuming and costly. We understand this which is why we haven’t changed out fees in over 10 years yet have continued to increase our service quality and our availability to our clients. In fact, have become the most accessible service provider in our industry as a result of our multiple service centers across Canada. If you use any of our service centers in Victoria, Vancouver, Surrey, Calgary, Edmonton, Regina, Winnipeg, Toronto, North York, Mississauga, Halifax, or Montreal to drop off your documents and receive free shipping via FedEx to our head office in Ottawa for processing. Upon completion, we can ship your documents anywhere in the world via one of our trusted couriers or back to any one of our service centers in Canada via FedEx free of charge for pick up. If you are interested in using any one of our service centers for drop off or pick up, please contact our office. Our A+ rating with the BBB, proud membership with the Canadian Chamber of Commerce, dozens of verified 5 star reviews on Google and numerous recommendations on Facebook make it clear that we have remained the leaders in our industry since we first pioneered it over 25 years ago. When you choose ALSC you can’t lose; our experts are here for you. Contact us below to get started!